Who can resist a good sunset? 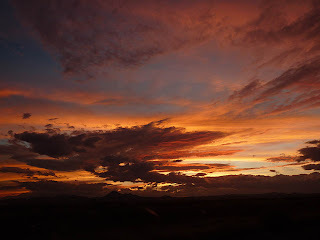 This photo was taken on the long road through New Mexico while travelling in the car. If you don't have a digital camera that has a stabilizer then what in the hell are you waiting for?